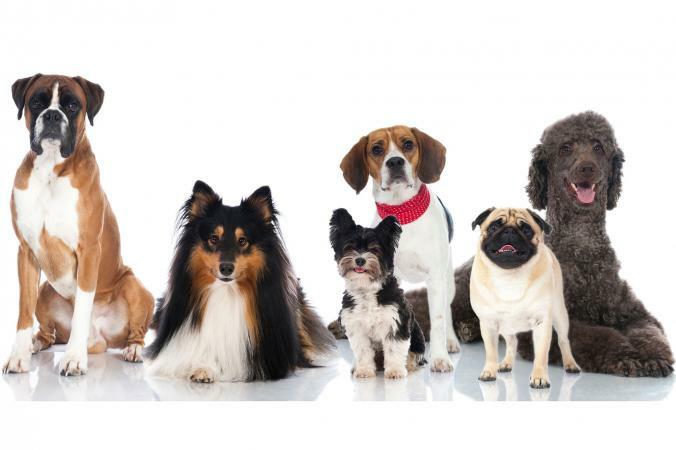 Did you know there are at least 344 different dog breeds? Dog breeds can often seem like different animals when you compare them because of the range of sizes, colors, and personalities. From the largest Great Dane to the smallest Chihuahua, each breed has characteristics that set them apart from each other. There are many breeds of dogs to choose from and looking at their physical and personality characteristics is a good first step in researching your options. With so many possible breed choices, how do you narrow them down to find the one that's right for you and your family? There are several factors to consider when looking at dog breeds. Having a dog doesn't mean you have to alter your life and dedicate hours of your time. With some breeds, you will definitely need to make some significant life changes to include providing enough exercise, training, grooming, and playtime for your dog. Other breeds need much less exercise and minimal grooming and can do well with just the basics of training. Make sure you are being realistic about your time availability and constraints. Do you want a purebred puppy with knowledge of its parents and breeding? Or do you strongly feel it's important to rescue a dog? While there are breed rescues for many popular breeds, realize the rarer the breed, the harder it will be to find a rescue. This doesn't mean it's impossible but will require more effort and may take longer to find the dog for you. If you live in an apartment, having a smaller dog may be a necessity. Some large dogs who need less exercise and have calmer temperaments can do well in apartments but a breed bred for working and high energy sports will not thrive in a small space. Likewise, some apartments and condos have breed and size restrictions that you should be aware of before making your choice. Size can be a concern for you and your family physically. A smaller person may have difficulty handling a large, powerful dog. This doesn't mean you can't get a large dog, but you'll need to put time into training and socializing your dog and invest in equipment like Gentle Leaders and no-pull harnesses. A family with toddlers or young children will have problems with smaller dogs that may nip if mishandled or large dogs that can play too rough and hurt a child without meaning to. If you live a quiet lifestyle and you're not physically active, don't bring home a breed that loves to run. However this doesn't apply if you want the dog to help you get outside and become physically fit! On the other hand, if you live in an active household, a quieter breed may find this overwhelming and stressful. Sadly, some breeds may make it difficult to find homeowners insurance as well as a rental home or apartment. If you live in a condominium or a home with a homeowner's association you may face breed restrictions as well. Some cities outright ban certain breeds. If you are considering a dog that is commonly restricted, make sure you research whether this may be an issue. There are so many breeds to choose from that it can be overwhelming! Make sure the breed you settle on is a good match for your lifestyle and talk to breeders and rescues to make an informed choice.